Established in 2000, LRB Consulting Limited provides Health and Safety Solutions. We’re an independent, professional and friendly health and safety consultancy led by Michael Ellerby. Michael is a highly respected Chartered Safety Practitioner as well as being a Chartered Chemist, and listed on the Occupational Safety and Health Consultants Register – OSHCR. He is a widely experienced Health & Safety Consultant and has worked for many years in this field, both as a consultant in industry and alongside his consultancy team. Operating from the East Midlands town of Loughborough, Leicestershire, LRB Consulting Health and Safety is ideally situated to work with a broad range of clients and industries across the whole of the UK. 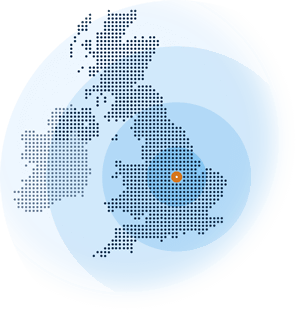 Many of the businesses that we support are concentrated in the following areas of England – Loughborough, Leicestershire, Manchester & London. We’ve even started working further afield, with clients in the USA and the Middle East. The range of clients varies hugely in the business sector and size of the company. LRB Consulting is happy to service almost any business, from tiny start-ups to large corporations. The highly skilled team provide expertise in fire safety and food safety as well as in general health and safety and health and safety training. If you need some advice on a Health and Safety matter, contact us on 01509 550023 and ask for our Director (Michael Ellerby) to contact you and discuss your problem. This will lead to a brief, no obligations discussion. It may help you work out what to do next. With so many health and safety consultancies out there, why choose LRB? LRB Consulting have carried out Health and Safety Compliance Audits and Fire Risk Assessments for me at a couple of schools. Their approach was supportive, constructive and practical. I have no hesitation in recommending their services to others.